When the market gets rocky, do you see the glass as half full or half empty? Morgan Housel, Collaborative Fund, an investment company providing funding to companies based on creativity and collaborative consumption. 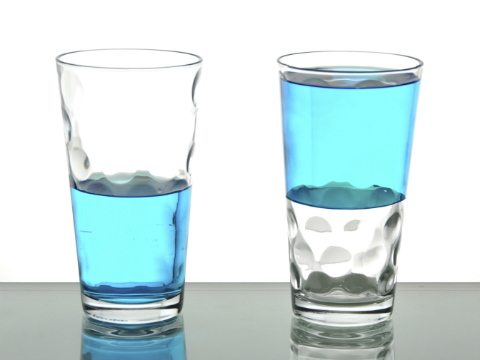 In times of market turmoil, do yo see the glass as half full or half empty? Successful investors look at opportunities as well as risks. Our advice to investors in times of market stress, like what we’re seeing now, is to keep calm and stick to your long-term plan. None of us invests for a day, or a month, or even a year. We invest portfolios so that you can meet your ten-year, twenty-year, thirty-year, or even longer-term goals. We follow a disciplined process to build a portfolio that will support you in good times and bad, since you will undoubtedly encounter both types of markets. People are naturally risk averse. We can understand the desire to be safe and secure. But to truly protect your financial future, so that your money doesn’t run out too early, you need to stay invested. That means a long-term, disciplined commitment to the market, through all market cycles. Having a pro to help you with your portfolio keeps you on track for the long haul.